Pre-race w the girl! Girls trip! We all loved the race and location! 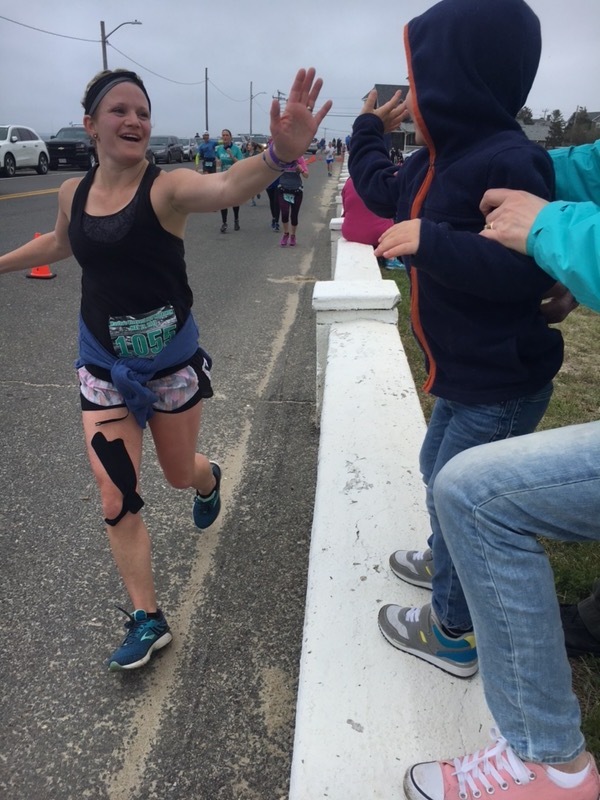 "The Martha's Vineyard Marathon was my very first marathon! I really enjoyed the scenery and course around the island (and the lack of hills - thank goodness!!). Can't get a prettier view than that right? I also really appreciated having water/electrolyte stations every 2 miles and Honey Stinger at halfway! Bag drop off and pick up was super helpful and easy as well. 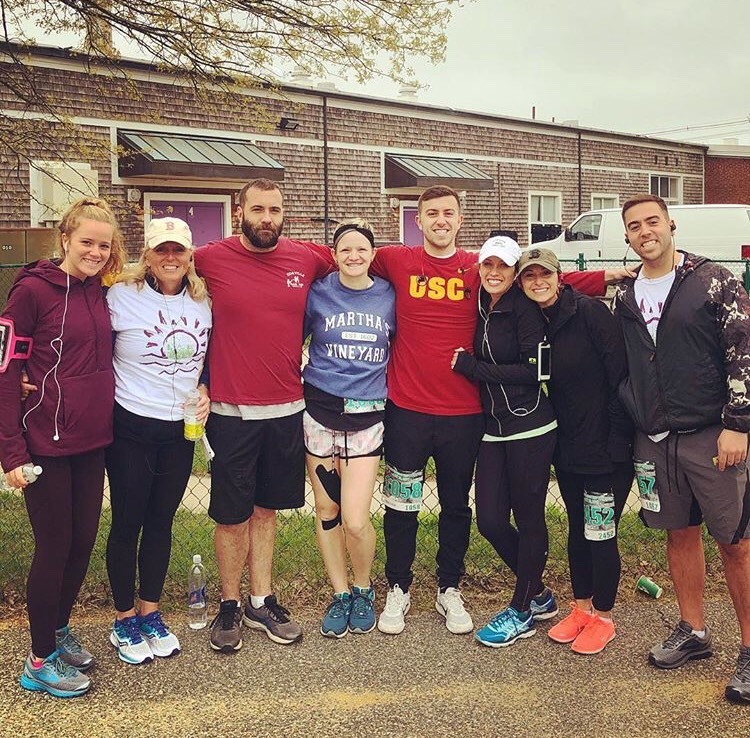 Shoutout to your volunteers for being so encouraging and enthusiastic - you really need that when it comes to mile 20. I look forward to running this marathon again!" "I ran the Half Marathon, it was my 112th Half. Overall, this was one of the best destination races I've done. What a beautiful location! The volunteers were all so enthusiastic! When the course opened up to the water views at Mile 9, I felt like I could have kept running forever! Here's my pic from Mile 12. I posted this during the race on social media with the comment 'I don't want this to end!'" Thanks for a great race. This was our 11th anniversary and we ran this together. Looking forward to coming back again! Thank you for putting on the first MV marathon and 1/2! I ran the 1/2 marathon (first half) and couldn't have asked for a more beautiful course. As a first-time half marathoner I thankful for minimal hills and lots of ocean views! "There were lots of spectators and volunteers cheering me on at the parts of the race where it mattered most. Those last 4 miles of the marathon were tough for me, but the gorgeous views of the beach and the encouraging words from all the people around me made it so much easier. I never felt alone or felt afraid of going the wrong way. 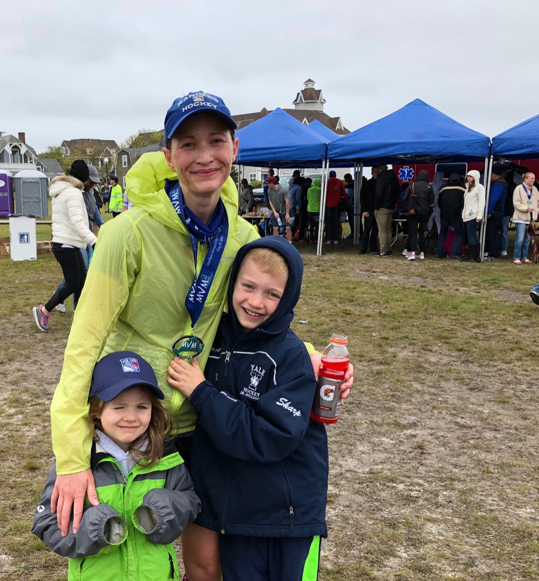 I secured my place in the 2018 Boston Marathon at Martha's Vineyard and am so grateful. It was a beautiful day and one I will forever cherish." This was my first half and I was so happy with the course; the organizers and the local support! This is a great race that benefits a wonderful cause on the island! I can’t wait until next year! My cheerleading section even had fun! 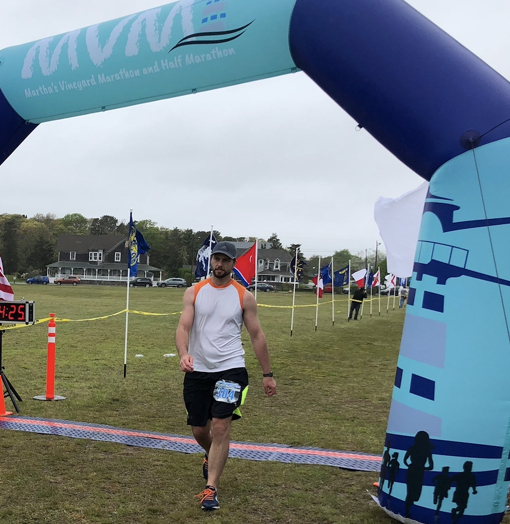 Martha's Vineyard Marathon was a fantastic first marathon experience. The mildly gloomy weather couldn't cloud the beautiful scenery and the volunteers were great. I was thrilled to beat my goal time which I owe to a fabulous pacer who got me to the finish line! Having my family with me for this Run-cation was perfect. See you next year! "Great race in a beautiful place." "Loved all the shwag, very nice presentation all around- signage, organization at start. Announcer was phenomenal. People were all friendly. Finish line super fun and well designed. We truly had a great time and hope it can be an annual event!!" Thank you for producing such an amazing race on such beautiful course. 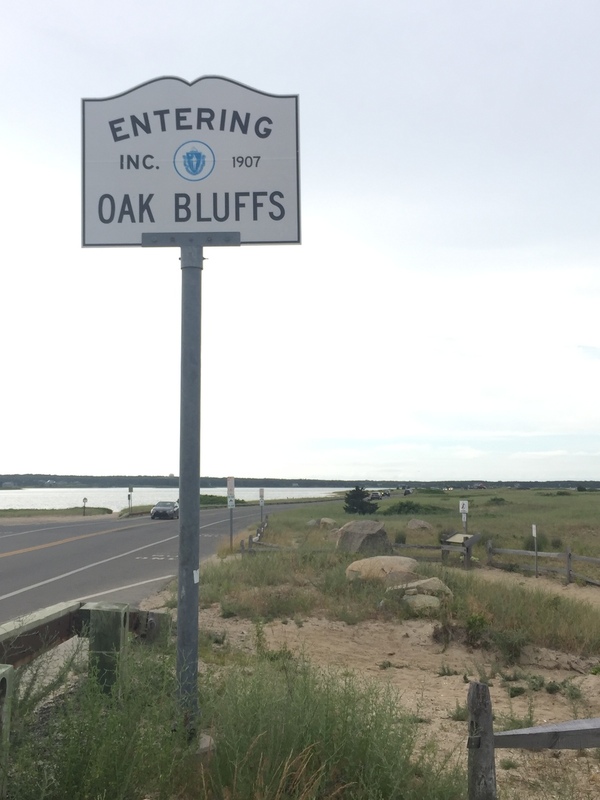 The people of Martha's Vineyard could not have been friendlier. We are ready to commit to next year and we will be bringing more runners with us! A true destination marathon. Martha's Vineyard is a great place to bring the whole family! A beautiful setting with many things to do for an extended weekend before the summer crowds arrive. It was easy to get around to see runners at many places along the course.